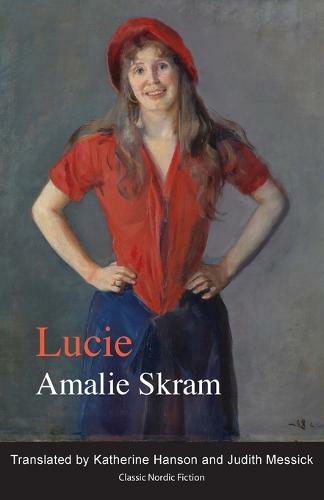 This novel tells the story of the misalliance between Lucie, a vivacious and beautiful dancing girl from Tivoli, and Theodor Gerner, a respectable lawyer from the strait-laced middle society of nineteenth-century Norway. Having first kept her as a mistress, Gerner is so captivated by Lucie's charms that he marries her, only to discover that his project to turn her into a proper and demure housewife is continually frustrated by her irrepressible sensuality and lack of fine breeding. What had made her alluring as a mistress makes her unacceptable as a wife. His attempts to govern her behaviour develop gradually into a harsh tyranny against which she rebels in a manner which brings misery and despair to both. Amalie Skram, a contemporary of Ibsen, expresses the same criticism of repressive social mores and hypocrisy here as he does in plays like A Doll's House and Ghosts, although in a deeply personal way. In this novel from 1888, as in her other novels, she makes an impassioned statement on the double standard, contributing to the great debate about sexual morality which engaged many Scandinavian writers in the late nineteenth century. She also presents a closely observed realistic depiction of a lively cross-section of Kristiania society from the turn of the century, ranging from high society dress parties to arid country cottages to dark and dingy tenements reeking of poverty.